If you are planning to buy the Nikon D500 DSLR camera body only, you are in for a treat! This camera allows you to take pictures with amazing clarity, at breathtaking angles. Crafted into a sleek and lightweight design the camera is easy to carry along. Thanks to the 20.9MP DX Format CMOS Sensor, this Nikon D500 camera consistently delivers high image resolutions and details. With an EXPEED 5 image processor, this camera is able to process images fast enough to permit up to 10fps, for crisp, clear action that doesn't blur itself out. With a 3.2inch touchscreen LCD, you can compose and review your shots with unsurpassed ease. The Nikon D500 DSLR reviews can't get enough of the camera's ability to produce excellent quality images, a characteristic that remains constant, even in extremely low light conditions. This camera has an ISO range of 100 to 51,200 that is expandable up to Lo 1 and Hi 5, which is equivalent to 50 to 1,640,000. This feature ensures that you get crisp, clear, and detailed images even when the lighting conditions are not exactly in your favor. 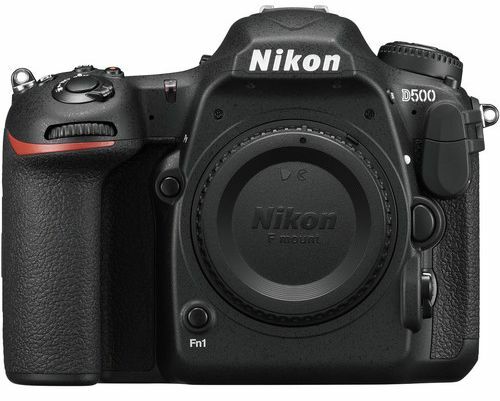 The Nikon D500 features the SnapBridge functionality that allows you to connect to your computer or laptop with extreme ease using various built in connectivity options. Transfer your data without the hassle of wires with the help of amazing features, such as Bluetooth Low Energy technology, NFC, and WiFi. If you need something faster, try the optional WT 7A Wireless Transmitter with transmission speeds of about 866.7Mbps. Very good camera! Fast focus, great grip, amazing pictures! This camera is best in it's level and price. After waiting for so many years finally I got a camera which I was waiting for. Hight ISO, high fps, tilted screen and so on... just love it. An excillent device, a great value of money. Thank u souq. Thank u dod_uae. I think the best price in UAE.